SEO stands for search engine optimization. It refers to techniques that help your website become more visible in organic search results for the people who are looking for your brand, product, or service via search engines like Google, Bing, and Yahoo. click here for more information, View More. 2. Why do I need SEO services? SEO services help your site rank better in the search engines organically. Better rankings in relevant terms will drive more traffic to your site, creating the ability for better exposure and revenue streams. Search engine optimization is an essential component of a business’s marketing and sales strategy. With the rise and rapid growth of the Internet and the demise of many traditional (offline) channels to reach customers and prospects such as the Yellow Pages, having a web presence has become increasingly important if not vital. To optimize your web presence and visibility. To build better branding and positioning for your business, products and services. To increase the online credibility and trust for your business. To identify a business’ most effective keywords. To increase traffic from potential customers. To increase the number of repeat visitors and customers. Click Here For More Information – View More. 3. What Is Bulk WhatsApp Marketing?? 4. What Is Bulk Voice Calls? 6. What kind of services do staffing companies provide? 7. What is Lead Generation? 8. What is Cold Calling? 9. What is the Value of Outsourcing Lead Generation? 10. How long will it take to build an app? The Wise Business Technologies enables our development team to build high-quality apps in a short time frame without sacrificing quality. From receiving the content to making the app available in the AppStore and Google Play for users to download, the development timeline is a seamless process taking as little as one month. While mobile apps requiring a significant amount of content or custom programming may take additional time, a Wise Business Technologies specialist will be able to present a customized timeline for your specific project to ensure expectations are met and the finished product is available when needed. 11. Which platform between iOS and Android is better for my app or, do I need implementing the app to both? There are multiple of factors such as demography, cost, time to enter market, etc which help you decide whether you should implement an app to one between iOS and Android or to both. Which demographic you want to target your app to? Which platform does your target audience use? How much budget you have to invest in the project? 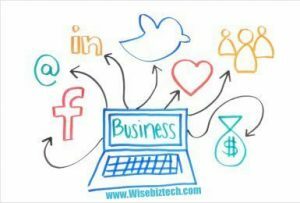 When you have clear answers to all above asked questions, you would be able to decide about the platform your want to target; however, Wise Business Technologies does have consultants to provide clients with better assistant. 12. How many development resources do you usually assign to a project? 13. What is toll-free service? Toll-free service is a one-way incoming long distance service that allows a business/Organization to receive calls at no charge to the caller. 14. Who is able to call my toll-free number? You can specify coverage by area code etc. This flexibility helps you save money by eliminating those toll-free callers who may be calling from outside your organization/business service area. 15. Why we must use Mobile Marketing ? 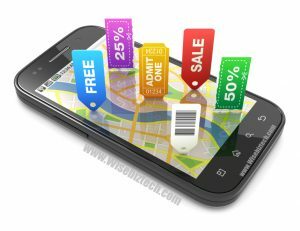 Mobile Marketing(MM) – A Hit!! Mobile Marketing(MM) is exotic for getting new possible clients to ‘stalk you’. It is the very direct path to your subscriber available short of following them all over the place! There is natural misconception that doing mobile marketing is precious & is reserved just for the ‘big boys’. That was the situation, however isn’t any more. From just pennies per person. The economical, obvious way and high consideration rate achieved via mobile marketing sees increased incomes and a ROI(Return On Investment) for businesses simply not accessible with existing marketing systems. Building a reliable connection with your clients is essential for long term achievement. Mobile Marketing(MM) is more ‘talking’ and less ‘yelling’. It lets you occupy relationships traceable and keep them! Regardless if your customers are running, watching TV or out all over the place; mobile marketing gives you a direct, private path to them and their whole attention anytime and anywhere! There are just no delays with mobile marketing. Dispatch a message and it reaches moments after. Perfect for time sharp information. No spam filters and No “lost in the post”. Full detail & network transmission status combined with tracked sales contributes a deeply calculable marketing method where each and every cost can be accounted for. One of the most bizarre thing, when you look at small businesses, how many of them don’t have a website? In today’s modern era of networking if any business that does not have a website, is missing one of the most powerful and impressive marketing tool available to them. These days most of the people go online, search for a products and companies before they make any purchase, if you don’t have a website you are missing your own potential business. Even if people don’t buy your product online but they will come to know about your products and your business, with which you deal. If you don’t have a website than you can be assumed by the customers that you are a small time company that does not take their business seriously. Once you establish this low reputation in the market it’s going to be hard to make sales and win competition. A website will not only provide you credibility but will also help to present the impression that your company is huge and more successful than it may actually be. One of the major profit about the online website is that the size of your company does not actually matters. In truth, a website can be built cheaper and if you are on a tight budget plan you can even get free websites. But keep in mind you don’t need a large thousand pages of website for your business, just a simple,clear and apparent site that tells the people about your company/organisation and your products will be all that really required. 17. What is Digital Marketing ? Digital Marketing that makes utilization of electronic gadgets for example personal computer, smartphones, cellphones, tablets and game soothes to enlist with stakeholders. Digital marketing technology applies technologies or stage such as sites, e-mail, apps (both classic and mobile) and social networks. Digital Marketing can be via Non-Internet channels like TV, Radio’s, SMS/MSG, etc or through the Internet channels/route like Social Media, E-mail advertisements, Banner display, etc. Social Media Marketing is a basic component of digital marketing. Digital Marketing makes the use of digital tunnel to promote or advertise the market products and services to clients and business. 18. What is SSL ? 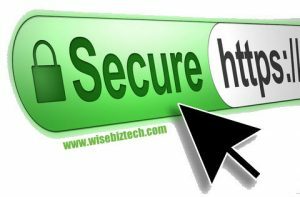 SSL (Secure Sockets Layer) is a basic security technology to setup an encrypted link between a server and client—commonly a web server (website) and a browser; or mail server and a mail client (e.g., Outlook). SSL allows delicate information or message such as credit card number, social security numbers, and log-in authorization to be passed securely. Generally, data sent between browsers and web servers is in form of plain text—leaving you permeable to eavesdropping. If an attacker is efficient in intercept with all the data being dispatched between a browser and a web server they can than use that information either as in positive or negative way. The Secure Socket Layer protocol consists of two sub-protocols: the “record” protocol and the “handshake” protocol. These protocols permit the client to validate a server and to establish an encrypted SSL connection. And “Initial Handshake Process” being referred as, a server that back SSL and present its Digital Certificate to the client to authenticate the server’s name. Server certificates hunts the X.509 certificate format that is prescribed by the Public-Key Cryptography Standards (PKCS). The verification process use the public-key encryption/cipher to validate the digital certificate and ensure that a server is in fact the server as it demands to be. Once the server has been authenticated and verified, the client and server install cipher settings and a shared key to encrypt the data they swap during the balance of the sessions. This endow data confidentiality and genuineness. This complete process is hidden to the user. For example, like if a web page require SSLconnection, the URL then will vary from HTTP to HTTPS and a locking icon arrive in the browser, once the server has been authenticated. The handshake also permit the client to verify itself to the server. In this case, once the server authentication and validation is strongly completed, the client or the customer must present its certificate to the server to authenticate the clients recognition before the encrypted SSL session can be organized. 19. What is Web Hosting ? 20. What is Domain ? .wisebiztech. – This is a sub-domain. 21. What is Responsive Website Designing? Responsive web design is a new approach to building websites. It’s about carefully crafting a website to be usable and aesthetically pleasing across a wide range of devices. Responsive websites use a fluid layout that adapts and responds to your user. Meaning that you are able to maintain one website that will serve all of your customers, no matter where or what they are viewing it on. So, if everyone is using the internet, why are PC sales dropping? Because the devices they are accessing the internet with are changing. Sales for tablets, smart phones and everything in between are skyrocketing. Five or six years ago, your customer was sitting at a desk and using a mouse to navigate your website. Today’s internet user could be, literally, anywhere. They might be browsing your website from the passenger seat of a moving car, walking down the street, or waiting in line at a store. They could be using one of thousands of different devices. The one thing that they will all have in common is that they will have little patience for a clunky website. Your customers have changed as well. They are now web-savvy. They’ve used hundreds and thousands of websites at this point, and they have come to expect very specific things. They expect that they can find your businesses contact information, location, and hours of operation within seconds, not minutes. They expect easy to use menu systems, up-to-date information and social media integration. And they expect to find all of this whether they are using their phone, tablet or desktop computer. Technology is changing at faster and faster rates, and your website needs to be ready to respond to it. Today your customer is browsing the web on a phone or tablet, tomorrow they might be browsing it from a screen in their car, or on the fridge. Responsive web design allows your website to preform in all of these conditions and to take your business forward. This technique is extremely useful for all kinds of websites as many among us are using cell phones, tablets etc. So, it becomes all the more important that the sites can be viewed on various devices. It is the flexibility of this technique that helps in resizing the web page. 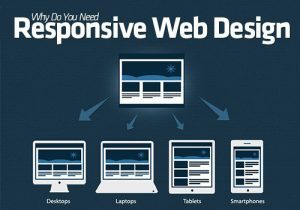 At Wise Business Technologies, with our highly qualified experienced team, we design responsive design techniques to keep your web page on roll, on any device. We offer you the best in terms of design, budget, quality and timely completion. We design to qualify your web page into a size to be viewed on all types of devices.